Ford Repair in Orlando | C & G Auto Center Inc.
C & G Auto Center is the first choice for #1 auto repair when Ford drivers need auto repair services. Drivers from Orlando, Davenport, and Winter Park have come to trust that whether the problems are major or minor, our auto mechanics have the skills and drive to get the job done right the first time. Come see why car owners in the area quickly decide to remain loyal to C & G Auto Center when their Ford needs quality work. Staying mindful of the health of your Ford is part of being a responsible automobile owner. Neglecting auto repair services can jeopardize your safety, your passenger’s, and other people on the road. The team at C & G Auto Center understand that going to get car services can be time-consuming and stressful. Our team is dedicated to making your experience with us efficient and seamless. We have cars too and understand that auto repair services can put a stop to your life. 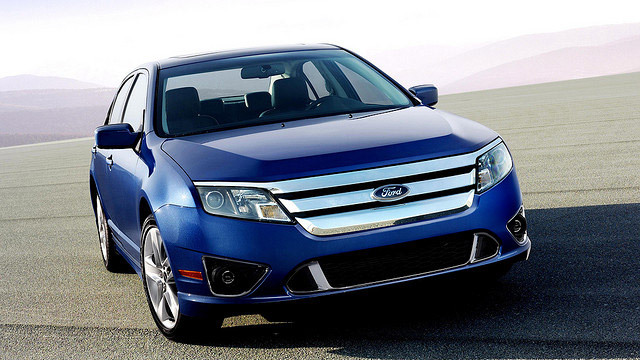 Our goal is to get you and your Ford smooth sailing and as good as new. Your life shouldn’t have to come to a stop just because your car does. “Correctly diagnosed all the issues in my car (after a chain mechanic incorrectly told me the issues my car was having) and helped me prioritize what needed to be fixed immediately. They were super friendly, helpful, and went above and beyond to help me understand the needs of my poor car. Fair pricing and the work (which was extensive) took only a matter of hours. Very happy.” -- Kyrstie B.